Dissociative identity disorder is a psychiatric condition that is characterized by the presence of two or more distinct personality states. It is also known as multiple personality disorder (MPD). The condition is described in some cultures as an experience of possession. Due to the presence of more than one personality, the patient usually has marked abnormalities in affect, behavior, memory, perception and sensory or motor function. High incidence of comorbid major depression, anxiety disorders, borderline personality disorder, and substance abuse. 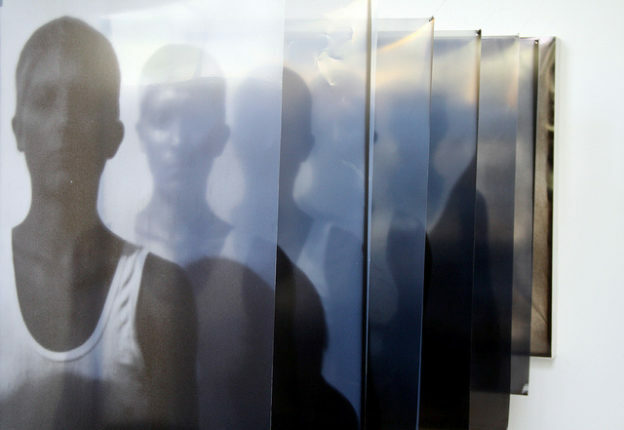 The estimated prevalence of dissociative identity disorder in the United States is 1.5 % with a minor difference in prevalence between males and females. The estimated prevalence of dissociative identity disorder among psychiatric ward admitted patients ranged between 1 to 5 %, whereas the prevalence of the disorder among the psychiatric emergency ward was as high as 12 %. The high prevalence of dissociative identity disorder in the emergency ward of psychiatric hospitals can be explained by the dramatic presentation of the condition compared to other psychiatric disorders. The main risk factors for dissociative identity disorder are childhood sexual and physical abuse and psychogenic trauma. Unfortunately, causative relationships between childhood sexual or physical abuse and dissociative identity disorder were not produced in the literature. For the diagnosis of dissociative identity disorder to be made, the presence of two or more personality states or the experience of possession is essential. In addition to this, patients also complain of recurrent gaps in memory and everyday events. Patients usually forget traumatic events that are difficult to forget, i.e. previously documented history of childhood sexual abuse. Speaking in tongues is very common in possession-type dissociative identity disorder. It is important to differentiate between mere personality changes that can be attributed to religious beliefs or culture and the experience of a full-blown possession. Note: Dissociative identity disorder should be diagnosed with caution in children because children can have imaginary playmates. The DSM-5 has put strict criteria for the diagnosis of dissociative identity disorder. In the past, this condition was known as multiple personality disorder. The problem with the term multiple personality disorder is that it does not assume dissociation which is essential for the diagnosis. Therefore, the first criterion for the diagnosis of dissociative identity disorder is the presence of two or more personalities, or the presence of a possession picture that is marked by impaired affect, behavior, consciousness, memory, perception and cognition. The second criterion is the inability to recall certain daily events that were observed or performed by the other dissociative personality. These symptoms need to cause significant impairment in social, occupational or other critical areas of functioning. Children might have imaginary playmates or other fantasies and the diagnosis of dissociative identity disorder should be made with caution. Additionally, people participating in certain religious and cultural experiences might also have a change in personality but without dissociation which should not be diagnosed as a dissociative personality disorder. Blackouts are common during seizure disorders and alcohol intoxication. Therefore, these two organic causes of blackouts should be excluded before confirming the diagnosis. Recent studies in patients with dissociative identity disorder have revealed reduced amygdala and hippocampus volumes. This finding is important in understanding the pathogenic mechanisms of the condition but cannot be used to confirm or exclude the diagnosis. Single photon emission computerized tomography (SPECT) is used in the clinical evaluation of seizures and for research purposes in psychiatric disorders. The main finding from SPECT in dissociative identity disorder is decreased cerebral blood flow in the left and right or bitofrontal cortex. Patients also have increased perfusion of the dominant temporal lobe and increased perfusion bilaterally in the occipital cortex. This finding is important as it explains cerebral blood flow alterations in brain regions that are known to be involved with memory, personality, and visual perception. Functional magnetic resonance imaging (fMRI) studies can also be used to differentiate normal from abnormal profiles. In contrast to SPECT, fMRI shows regional changes in blood oxygenation levels while coupled with neurogenic function. Therefore, fMRI is more useful in neurovascular coupling studies whereas SPECT might be useful in studying of cerebral blood flow during a more static state. fMRI studies showed abnormal activation patterns of the prefrontal and medial frontal cortices in patients with a dissociative personality disorder when compared to normal and healthy subjects while performing certain tasks. Unfortunately, most of these findings are showing new targets for the medical intervention for dissociative personality disorder, but there are no experimental studies that are evaluating these brain regions as possible therapeutic targets. Researchers hope in the nearby future that more studies will be performed on the brain metabolic profile in patients with dissociative identity disorder and if certain brain metabolites are deranged, then medical intervention might be more evidence-based and biologically-sound. For instance, if dopamine levels were found to be altered in one condition, i.e. schizophrenia, modulation of dopamine levels in that brain region can provide symptomatic relief for the patient. Due to our limited understanding of the pathogenic mechanisms behind dissociation, the treatment options for dissociative identity disorder are limited. The best approach nowadays is to use hypnosis or other forms of psychodynamic therapy to define the traumatic events in one’s life that could have led to this state. Once the traumatic events are identified, the psychiatrist should focus on changing the perception of the patient of these events. For instance, one of the personalities of the patient might believe that the patient should be punished for something that happened to him or her during childhood, i.e. sexual abuse. The next step in the management of these patients should include building a rapport between the doctor and each of the personalities, and between the different personalities themselves. Once this happens, the doctor should start focusing on fusion therapy. The idea behind fusion therapy is that we want to fuse as many personalities as possible in one person that the patient can then adapt to. Once fusion happens, it was reported that this can be stable for up to ten years in as many as one-third of the cases. Unfortunately, medicinal interventions in dissociative identity disorder are limited because we do not know yet which brain neurotransmitters are altered in this condition. Brain imaging studies that are focused on brain metabolites can provide new insights into the therapeutic options for patients with a dissociative identity disorder. Staniloiu, A., Vitcu, I. and Markowitsch, H. J. (2011) ‘Neuroimaging and Dissociative Disorders’.